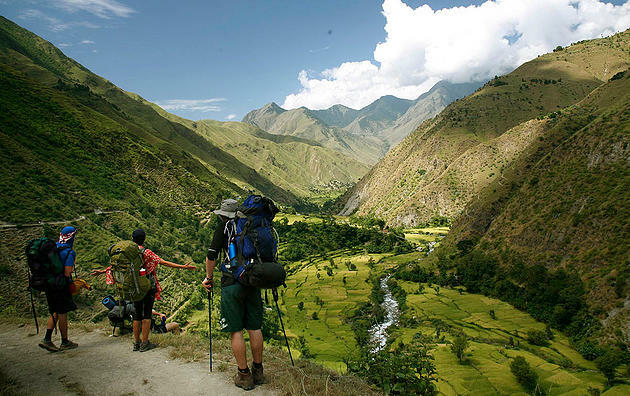 Stellenbosch University is running a three week learning journey into the remote Himalayan region of western Nepal from September 9th – 28th, 2014. The learning journey, founded and organized by BYM Class of 2010 Luke Metelerkamp, is unlike anything currently on offer when it comes to learning for sustainable futures and takes students into the heart of a vanishing culture of self-sufficiency rooted in an innate understanding of the local environment. The module seeks, in very practical terms, to investigate what macroeconomic trade policies and open-market developmental economic theory mean for emerging economies and what future progressions or alternatives could be. This region of the Himalayas, which is only accessible by foot, provides a fleeting glimpse into ancient ways of being that are rapidly vanishing. Whatever your particular interest within the sustainability spectrum, you will find these people (from a largely illiterate population) have some inspiring lessons to provide to the outside world. The journey is targeted at students and working professionals seeking to gain gritty, practical insights and experience within emerging economies and successful development organisations. It is valuable to all fields and persons seeking to better understand the sustainability arena through deep experiential insights. This leg of the journey will require a good level of physical fitness and a willingness to spend time in very remote areas. Accommodation will be a mix of camping and very basic local lodging, in areas devoid of any form of tourist infrastructure. The courses are run in partnership between Stellenbosch University’s School of Public Leadership and the Sustainability Institute. The programme is accredited through the University of Stellenbosch’s School of Public Leadership. Participants will have to option to sign up for one of two modules, which will run concurrently as part of a single expedition. Students have the option of full certification from Stellenbosch University. The cost of the course is R14 000 inclusive of all course fees, food, accommodation and transport once the course starts in Nepal (excluding international flights: approx. R11,000 return from Johannesburg to Kathmandu). or visit our website on www.sustainabilityinstitute.net/academic/immersive-learning. Pierre is a 2010 BYM alumni and will be part of the faculty teaching the course in Nepal.